Key Questions for Creating a Clear Focus on Student Success – Lead. Learn. Grow. 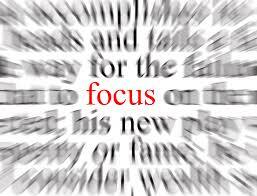 Do you have the type of focus that will create the best and clearest picture of student success? Have you ever tried to take a picture but had difficulty getting the focus just right? You had to clean the lens, readjust your angle, or maybe even change to a better camera all together. That’s exactly what we are doing between November and January. We are preparing to take a picture of our students’ success. Now is the time to refocus and adjust our practice, so that we get the best picture quality so that our student’s’ success shows up vividly and in high definition. We have 22 instructional days until our students have the opportunity to showcase their learning and growth. First semester is coming to a close and final exams are drawing near. Though we know these summative assessments are but one way that students show their mastery, we want to ensure that we have put them in the best possible position for success. During this time, we are challenged to think about our work in two very distinct ways. 1. How do we end this semester strong (ensuring students have grown as a result of our instruction as well as ensuring that students are as prepared as possible)? 2. What do we need to do to in order to effectively transition to the second semester (new classes, new seating, charts, new social contracts, etc.)? In order to do this well, we will need to be focused and intentional with our time. Are you using proven best practices and strategies to maximize learning? Do you have a plan for teaching and reteaching the power standards? Are your lesson plans and activities closely aligned to the standards and rigor level necessary for students’ achievement? These are all key questions to consider as we prepare our students and ourselves for success .. I can’t think of a more important topic- thanks for putting this in the front of our minds!